Dr. Jigar Katwala is an Associate Professor, Department of Pharmacology in Spartan Health Science University, School Of Medicine, St. Lucia. Earlier in his career, He served as an emergency medical officer with private hospital sector and Clinical Investigator with Cliantha Clinical Research Ltd. Gujarat, a global clinical research company. Dr. Jigar became Manager and Senior Medical Manager in Central Nervous System Division with Intas Pharmaceutical Company from 2009 to 2012 and moved into the academic teaching with Caribbean Medical School since 2013. Before joining Spartan Health Science University, Dr. Jigar served as Associate Professor and Course Director of Pharmacology with Medical University of Americas, St. Kitts and Nevis and an Assistant Professor of Pharmacology and clinical medicine with All Saint University, St. Vincent and Grenadines. He earned Bachelor of Medicine, Bachelor of Surgery, M.B.B.S, from Maharaja Sayajirao University, Baroda Medical College in 2005 and a master degree, M.D. Pharmacology from Gujarat University, Smt. NHL Municipal Medical College, Ahmedabad in 2009. 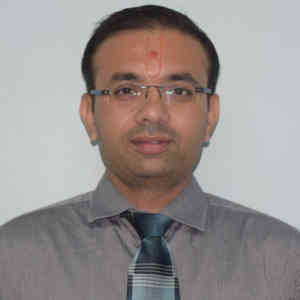 He is also a member of Indian Pharmaceutical Society, Ahmedabad Chapter since 2007. Dr. Jigar brings a wealth of experience of clinical pharmacology and academic medicine to SHSU, School Of Medicine.